Facebook is at a major strategic crossroads as the social network has temporary forsaken its lofty plans to develop and ship its own apps to focus on driving users to Apple App Store. The effort has been extremely successful, with Facebook sending people to the App Store 83 million times in May and propelling them back to iOS apps they had previously downloaded 134 million times. While this clearly proves Facebook’s strong ability to drive traffic, it also shows how the network has traded short-term revenue opportunities for reach and relevance. Techcrunch.com reported on how Facebook is facing this virtual reality. 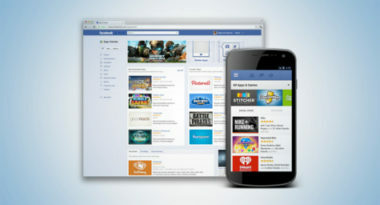 Last year, Facebook had extreme difficulty developing its own apps with HTML5. This led to the company’s shift toward distribution over development. Facebook also realized that it couldn’t tap into Apple’s or Android’s 30 percent cut of in-app purchases without negotiating special agreements with both companies since their standard affiliate programs don’t amount to anything substantial. As a result, the company abandoned its focus on generating revenue in exchange for maximizing its status among mobile developers and consumers. For now, this appears to be a move that’s paying off, yet not in the monetary way the network had hoped. Implement a Facebook marketing strategy today, contact MDG Advertising at 561-338-7797 or visit mdgadvertising.com.